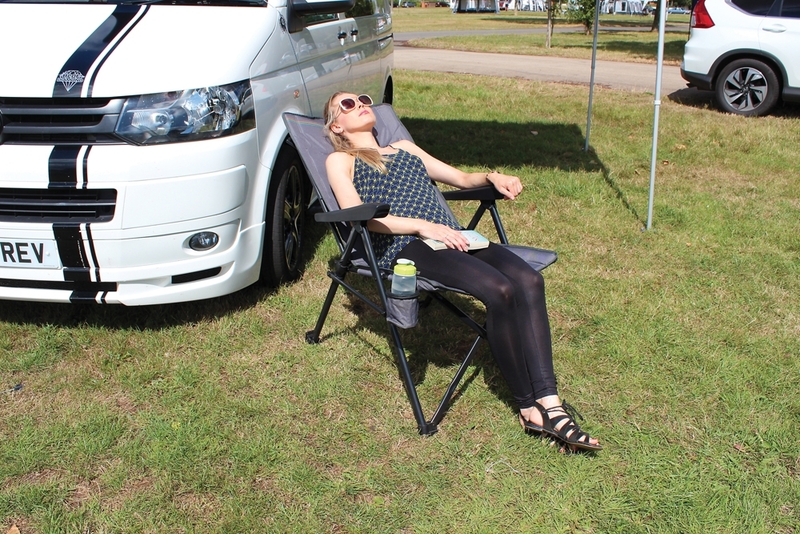 The BRAND NEW lightweight 'Sienna' adjustable folding camp chair utilises a reclining multi-position backrest and a padded 600-Denier PVC fabric to deliver an immensely comfortable seat, which is perfect for unwinding back at the campsite, after a challenging day of adventure. Are you looking for the Sienna? 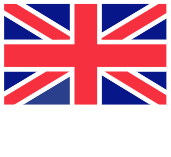 We have incorporated a robust graphite steel frame as a sturdy base, allowing a hefty maximum weight loading of 100kg. 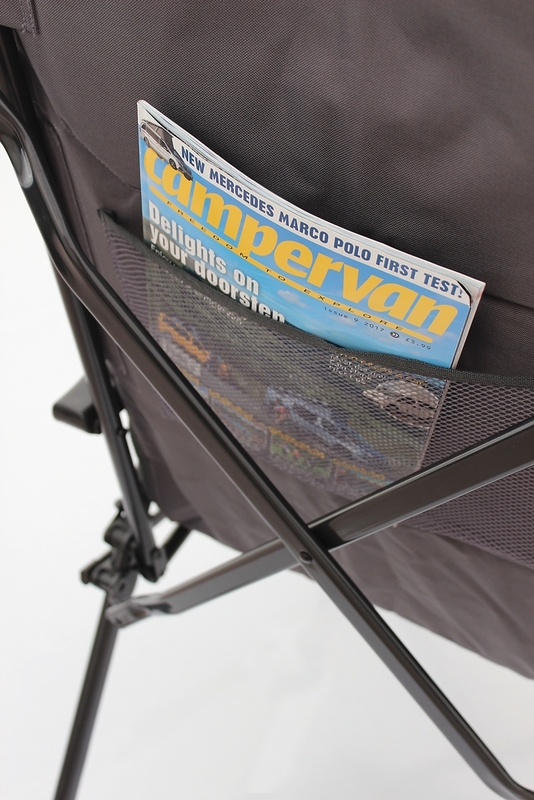 The feet are purposefully designed to be extra wide, in order to prevent damage to your groundsheet whilst seated. 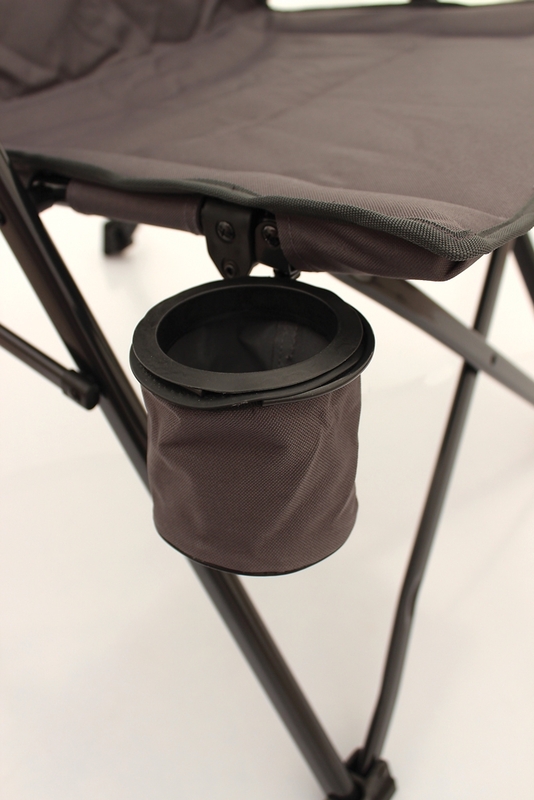 This chair is remarkably lightweight and compact, plus folds completely flat, making storage, transportation and packability into the coordinating carry bag included, practically effortless. 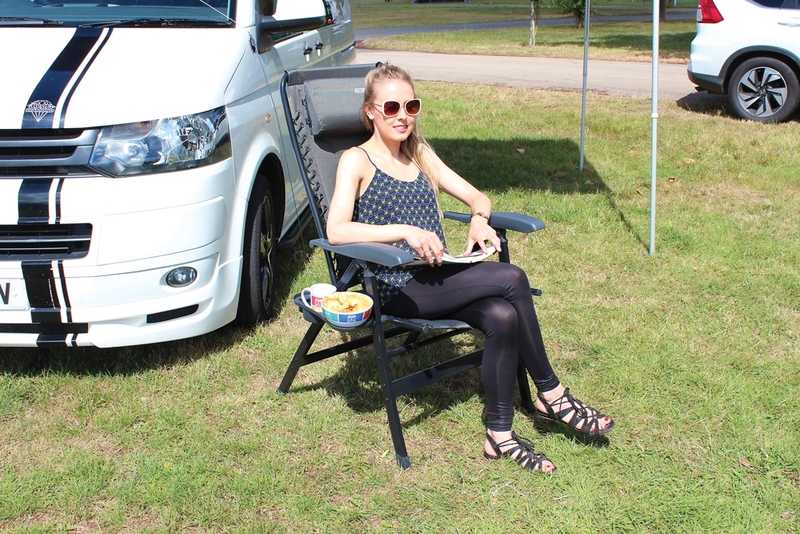 A retractable drinks holster and rear mesh storage pocket make this model ideal for lounging in summery weather, with any complementary items you may require close at hand. 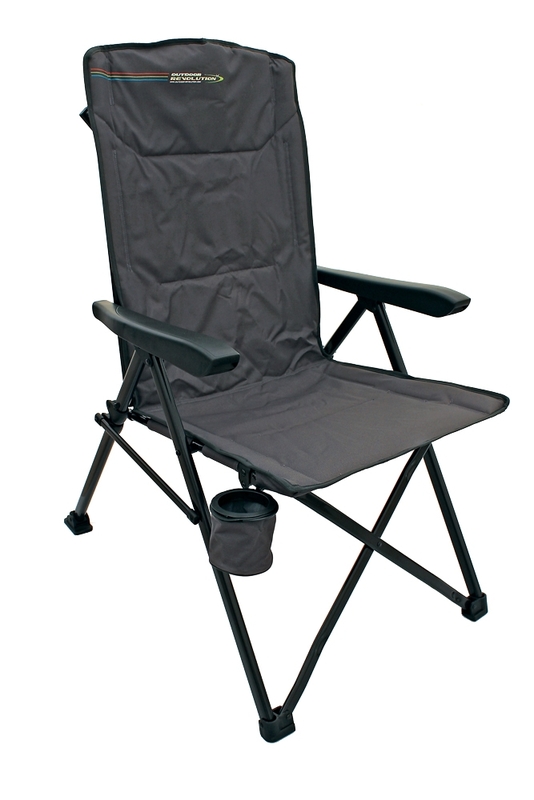 Please note that this model is designed especially to complement camping trips in the great outdoors, but it is also perfect for indoor use.